The sliding sash is an integral part of history and architecture, but it can suffer the same damages that other types of frames and windows would when exposed to the elements. The best investment you can make is to have your sashes regularly maintained, serviced and repaired by a reputable and an experienced sash company. 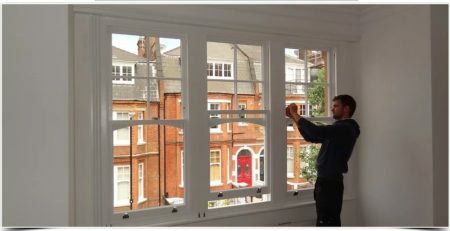 To manage sash window repairs London homes and commercial buildings are encouraged to seek the assistance and guidance of experts in sash window care. The sash window consists of sliding components and not the traditional hinges you find with regular windows. Most sashes consist of cords and weights assisting in its opening and closing, but over time these units can take some strain and will need replacing. These features are a significant part of many types of older buildings and homes with a historic heritage, requiring effective restoration. Sash windows are susceptible to all types of damages from minor changes in appearance to an inability to seal or secure these windows. Time must be taken to carefully examine the functionality of windows including its structure and determine the reasons for the structural problems. 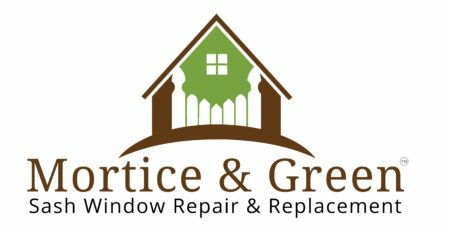 Part of scheduled maintenance involves clearing excessive dust and dirt while looking for excess paint and varnish that affect the ability for windows to seal. A common problem of sashes that lack the correct maintenance, is the formation of chilly draughts. When a cool breeze creeps into the house, it makes internal temperature regulation impossible and causes major discomfort during the winter months when trying to stay warm. Do not proceed with your own seals and draught proofing as you could cause additional damage or compromise the integrity of the frame. Professional sash window repairmen specialize in performing routine maintenance and fixtures for all types of period windows. The historic significance of sashes means it should be dealt with according to its original design standards that very few window and frame companies can offer. Ensuring the specialists hired provide quality services with skill and experience in restoring and fixing sash windows, you can rest assured the authenticity and beauty are maintained. Owners of sashes are advised to paint these wood frames with a quality product to protect against the elements. The most common wood material incorporated in design is timber and these types of wood can easily absorb moisture or degrade with excessive sun and frost exposure. It is best to have these frames professionally maintained and painted, as such technique delivers the greatest layer of protection against weather related wear and tear. Painting sashes is a cost effective strategy to keeping frames waterproofed but must be completed with precision technique. If product is too thick, it can affect the sealing qualities of sashes while extra layers tend to bubble and crack. Keeping the paint thinly applied and it should simply seal the wood rather than interfere with its sliding operation. Without the correct tools, it is difficult to clean and paint sash windows owing to it intricate components and fixtures. 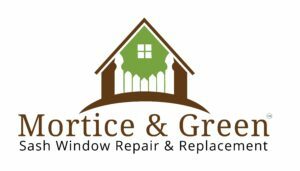 Professionals in the industry offer the technique and the equipment necessary to protect from painting the glass panes and causing additional problems. Keeping the frames clean and well managed will minimize complications and ensure an elegant exterior is achieved. Where repairs are possible on sash windows, have a professional restore its former glory rather than replace it. Window features with a historical attachment have a story to tell and represent a significant part of English architecture. Maintaining its originality is key to upholding the appeal and the significance of such designs. Sash windows are more affordable to have repaired than replaced and must be discussed with a professional window maintenance and installation service. Fixtures to the frames, cords and sliding operations prove more cost effective than removing the frames and having a new window installed. Do not experience the hassles and expense of removing windows that can easily be restored to its former condition and provide an undeniable property charm. The correct practices and procedures are delivered with a guaranteed professional and high quality service. Sash windows are found in most older buildings but many modern homes are incorporating a combination of Edwardian design. The exceptional value of sashes and the unique beauty it provides, makes the restoration, repair and maintenance an invaluable decision.